Today's spotlight is on a book that I've been eagerly anticipating since I first heard that it was on its way. Not only is it written by E.C. Meyers, who is a wonderful author, but it's a techno thriller will all the markings of a book that I'll love. Want to see if it's for you as well? Here's the synopsis! Check it out! "What is the Silence of Six, and what are you going to do about it?" These are the last words uttered by 17-year old Max Stein’s genius best friend Evan just moments before he kills himself after hacking into the live-streaming Presidential Debate at their high school. Haunted by the unforgettable image of his best friend’s death, Max’s entire world is upended as he suddenly finds himself the target of a corporate-government witch-hunt. Fearing for his life and fighting for his own innocence, Max is on the run with no one to trust and too many unanswered questions. 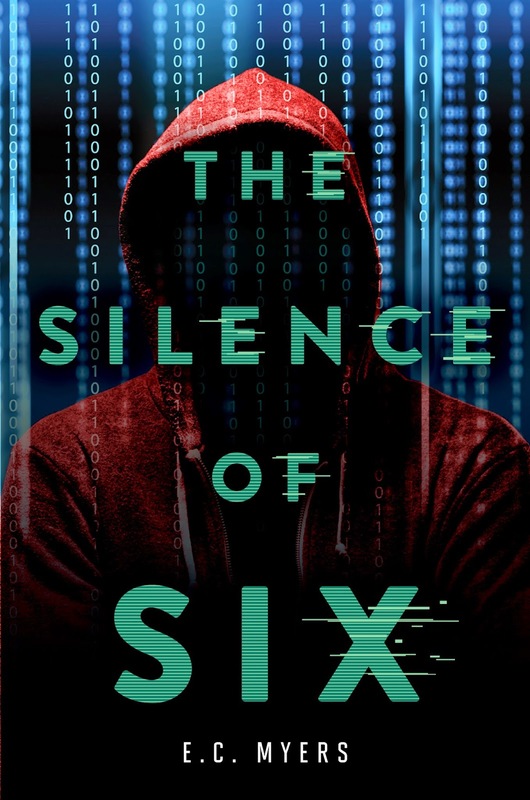 Max must dust off his own hacking skills and maneuver through the dangerous labyrinth of underground hacktivist networks, ever-shifting alliances and virtual identities — all the while hoping to find the truth behind the “Silence of Six” before it’s too late. A thriller with computer hacking and tons of twists? You have my attention! You can add this book to your Goodreads, Amazon, or BookLikes list. Make sure you don't forget that it releases on November 5, 2014. Now, please enjoy a trailer and then scroll down for a giveaway! Thanks to the publisher, two winners will be taking home a finished copy of The Silence of Six. U.S. mailing address only please! Giveaway will run until 11/7/14.